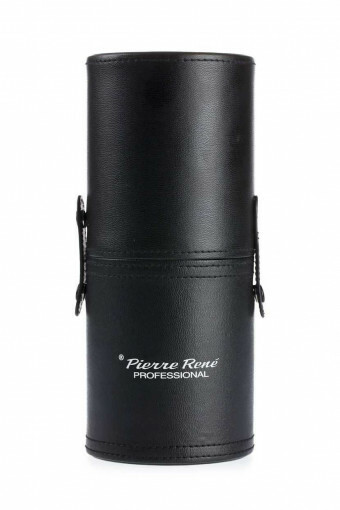 The make-up brush tube Elegant is convenient, sturdy and made of black ecological leather which is easy to keep clean. Fastened by press studs on both sides for convenient and quick opening. Perfect for storing brushes and cosmetic tools both at home and on the move, thereby protecting brushes against mechanical damage and dust. The tube will hold a set of 25-30 brushes up to 20 cm long.